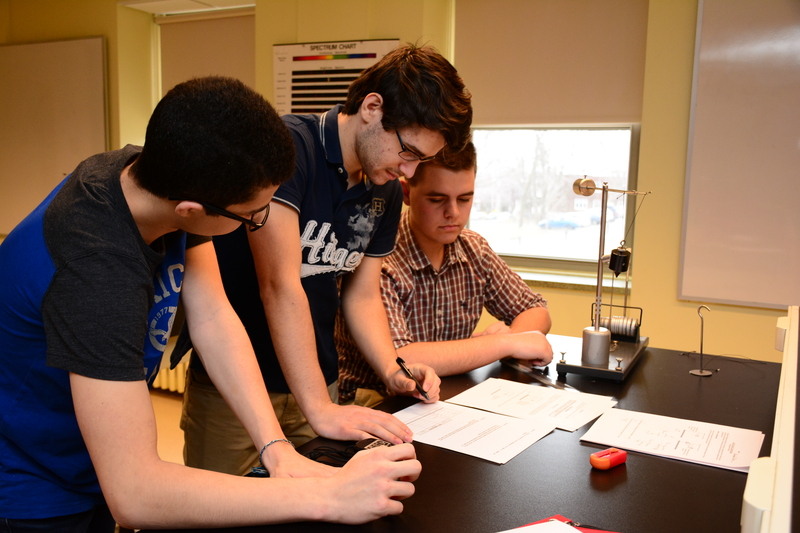 The Science program at Marianopolis is a two-year, pre-university program that offers two options: Health Science and Pure and Applied Science. Each leads to a Diplôme d’études collégiales or DEC. Both are different from the Science you know from high school: you get more in-depth information with your courses and more hands-on experience, more lab time and more opportunities to explore your interests. A DEC in Health Science at Marianopolis is the best pathway to a university health-related program, such as dentistry, nutrition, medicine and microbiology. 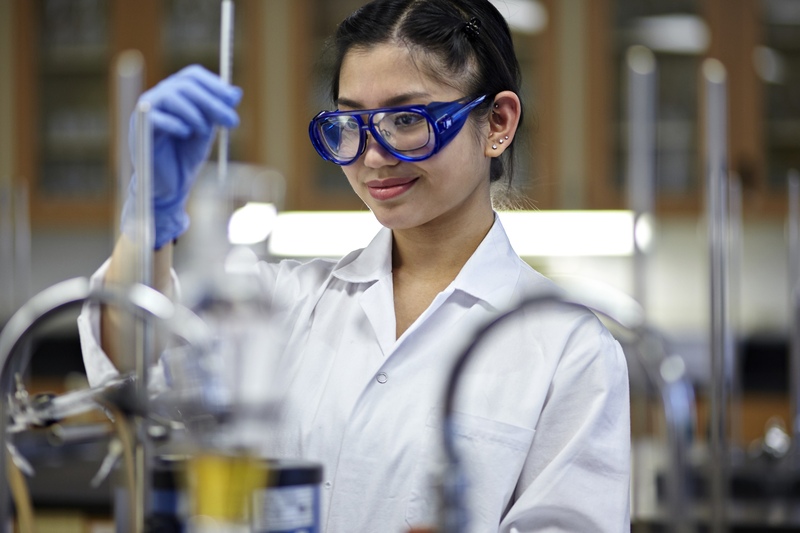 A DEC in Pure and Applied Science is the best pathway to a university program in engineering, Computer Science or in the pure sciences of chemistry, mathematics and physics. WHY CHOOSE SCIENCE AT MARIANOPOLIS? Because Marianopolis offers only pre-university programs, as a Marianopolis Science student you are surrounded by students who share your goals. You also have the advantage of being at a small college with an open-door policy. The close rapport with your teachers and our helpful staff means you get support when you need it throughout your studies and when it comes time to apply to university. Also, no other school can match our success rates, offer you as many opportunities to strengthen your dossier when you apply to university or prepare you as well for your university. Consider the Marianopolis Science program if you are interested in the Sciences and you are motivated. Year after year, nearly 90 percent of our graduates are admitted to their first-choice of university and more than 80 percent to their first-choice program, including to highly competitive programs such as Dentistry and Medicine. Another difference is that as a Marianopolis Science student, you get to choose from a wider variety of electives than you would at most other schools, from Astrophysics to Molecular Genetics. If you participate in the Lab Project at Marianopolis, you will have the opportunity to gain valuable hands-on experience by working with world-class scientists at local universities and research institutes. You can also participate in the Science Fair and present your scientific, technological or environmental research project, working under the supervision of a dedicated faculty member. For some Marianopolis students, the local Science Fair is a gateway to recognition at national and international fairs. You can also join the Marianopolis Robotics Team, whose tradition of excellence at the Canadian Robotics Competition is second to none, and apply what you learn in your Physics, Mathematics and Computer Science courses to build a robot. Your work in The Lab Project, Science Fair or Robotics counts as the official Épreuve synthèse required by the Quebec Ministry of Education and are great achievements to include in your university applications. If you love both Science and Music, Marianopolis makes it possible for you to complete the requirements for both your Science DEC and a second DEC in Music in through our three-year Science and Music Double DEC program. WHAT CAN I DO WITH A DEC IN SCIENCE?